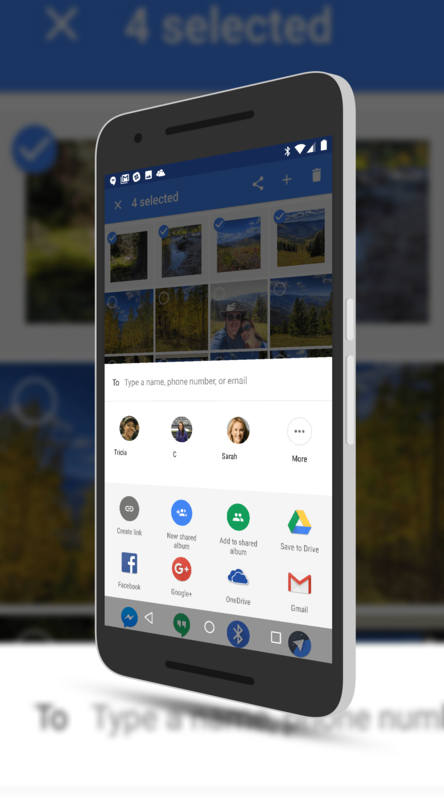 Google has rolled out a small but important update to Google Photos that makes it much easier to share your photos with others. The update gives you the ability to share a photo or set of photos with an individual contact, not just another app. The ability to share with another app has been there for a while but to share photos with a contact, you had to dive into another app (Messages, Hangouts, etc.) to make that happen. Now you will see your contacts in the Share menu and can share directly from within Photos, saving taps and steps. page. At the top, you will now see individual contacts which you can then tap and share the photo(s) with them. How they get this share information will depend on if they use Google Photos or not. If they do, they will get a share notification within the app on their devices to let them know you have shared with them. If they don’t, they will get a link via SMS or the photos as attachments in an email if they are sent that way. The update is rolling out for both Android and iOS and if you haven’t received it already, you should via an OTA update over the next few days. Remember that if you need any help with Google Photos, hit up the Google Photos Product Forum. There you will find Rising Stars and Top Contributors with Google (I’m a TC for Photos) who can help you with questions on the app.